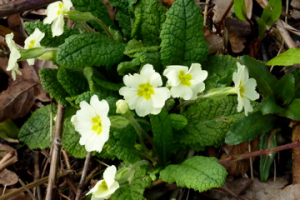 Observation - Primroses - UK and Ireland. Description: Pale yellow flowers in spring. I always find these a cheering sight. Lots of them about. Just starting to flower. Pale yellow flowers in spring. I always find these a cheering sight. Lots of them about. Just starting to flower.